Efforts to combat disinformation in the West have so far focused on tactical approaches that target the “supply side” of the problem. To succeed, they must be accompanied by efforts that tackle the demand side of the problem: the factors that make liberal democratic societies today so susceptible to manipulation. MADRID – These are difficult days for liberal democracy. But of all the threats that have arisen in recent years – populism, nationalism, illiberalism – one stands out as a key enabler of the rest: the proliferation and weaponization of disinformation. The threat is not a new one. Governments, lobby groups, and other interests have long relied on disinformation as a tool of manipulation and control. What is new is the ease with which disinformation can be produced and disseminated. Advances in technology allow for the increasingly seamless manipulation or fabrication of video and audio, while the pervasiveness of social media enables false information to be rapidly amplified among receptive audiences. Beyond introducing falsehoods into public discourse, the spread of disinformation can undermine the possibility of discourse itself, by calling into question actual facts. This “truth decay” – apparent in the widespread rejection of experts and expertise – undermines the functioning of democratic systems, which depend on the electorate’s ability to make informed decisions about, say, climate policy or the prevention of communicable diseases. The West has been slow to recognize the scale of this threat. It was only after the 2016 Brexit referendum and US presidential election that the power of disinformation to reshape politics began to attract attention. That recognition was reinforced in 2017, during the French presidential election and the illegal referendum on Catalan independence. Now, systematic efforts to fight disinformation are underway. 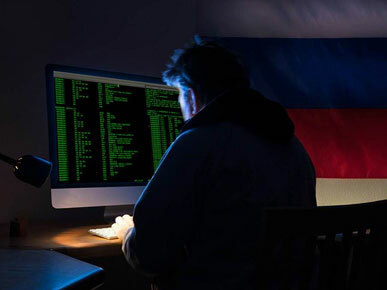 So far, the focus has been on tactical approaches, targeting the “supply side” of the problem: unmasking Russia-linked fake accounts, blocking disreputable sources, and adjusting algorithms to limit public exposure to false and misleading news. Europe has led the way in developing policy responses, such as soft guidelines for industry, national legislation, and strategic communications. Such tactical actions – which can be implemented relatively easily and bring tangible results quickly – are a good start. But they are not nearly enough. To some extent, Europe seems to recognize this. Early this month, the Atlantic Council organized #DisinfoWeek Europe, a series of strategic dialogues focused on the global challenge of disinformation. And more ambitious plans are already in the works, including French President Emmanuel Macron’s recently proposed European Agency for the Protection of Democracies, which would counter hostile manipulation campaigns. But, as is so often the case in Europe, the gap between word and deed is vast, and it remains to be seen how all of this will be implemented and scaled up. In any case, even if such initiatives do get off the ground, they will not succeed unless they are accompanied by efforts that tackle the demand side of the problem: the factors that make liberal democratic societies today so susceptible to manipulation. The so-called War on Drugs failed spectacularly, partly because it focused exclusively on cutting off supply, without any regard for the factors driving demand. While it is an imperfect analogy, the lesson stands. If we are to avoid a similar failure in the fight against disinformation, we must look beyond tactics to develop a broad-based strategy addressing both supply and demand. Part of the answer lies in public education – for example, by including media literacy in school curricula, as is being done in Italy. But there is also a need to strengthen citizens’ sense of personal responsibility. This will not be easy, as it requires reconfiguring the relationship between government and governed. As it stands, that relationship tends to resemble interaction between a service provider and its subscribers. A passive, transactional relationship weakens citizens’ sense of agency and responsibility, and a disempowered and disengaged population becomes an easy mark for those peddling disinformation. Seven decades ago, the American diplomat George F. Kennan (writing under the pseudonym “X”) laid the intellectual foundations for the containment policy that defined the West’s grand strategy vis-à-vis the Soviet Union throughout the Cold War. In his famous article “The Sources of Soviet Conduct,” Kennan warned that physical containment of the Soviet sphere of influence was only part of the response. The United States also – and more importantly – needed to demonstrate the resilience and vibrancy of its society. Three decades after the Cold War’s end, this remains the core challenge facing the West: to measure up to our “own best traditions,” and to prove that our liberal democratic ideals are “worthy of preservation.” If we do not strengthen societies from within, we cannot hope to withstand threats from without. To succeed, we will need both tactical competency and a strategic vision that leaves no doubt about what we are fighting for.